radio scanners and have quite a few! so you can charge your batteries whilst inside the scanner so you don’t have to remove them. It has two power sockets on the side, one for charging and one for just powering it. I just use normal batteries and they seem to last a good few hours even days! The realistic Pro-29 radio scanner also has the ability to do a limit search so you can just search a certain part of the band which is a very useful feature. The scanner is very easy to program and needs little skill to achieve this. On the back of the scanner there is a belt clip that can also be removed if you need to. On the top of the scanner it has a separate volume and squelch knob and the BNC antenna socket for the rubber duck antenna that is supplied although you can use an aftermarket one if you wish. 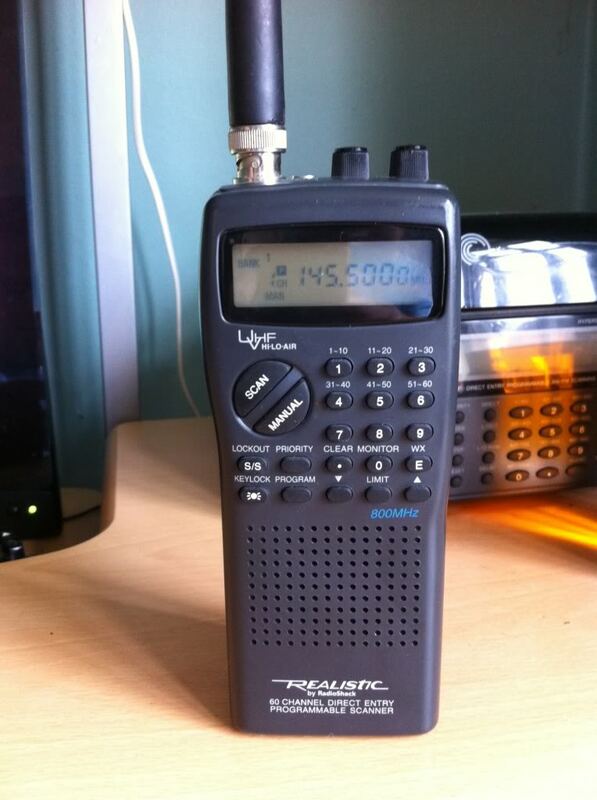 Overall I am really happy with this Realistic Pro 29 scanner, I have found it a great addition to the shack and has come in use many times and is also great to be able to take with you when you are out and about! I have found that this radio is very sensitive and does exactly what it says on the tin. there is very little activity at my location so I really don’t use the scanners much now, shame really. Thanks for reading my little review and I hope you have found it useful, Thanks also for taking the time to visit my website and hope you come back again real soon!